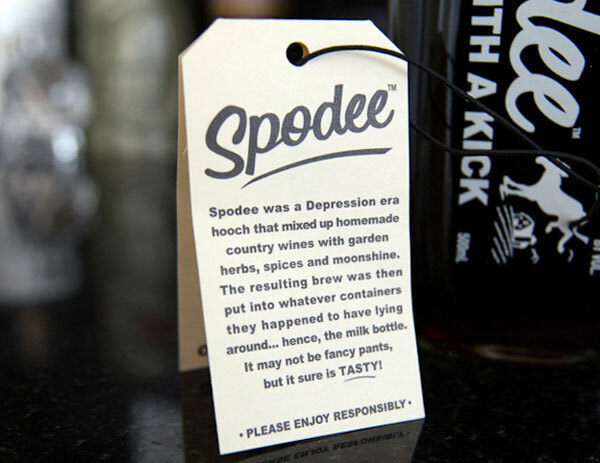 “Spodee was a Depression era hooch that mixed up homemade country wines with garden herbs, spices and moonshine. 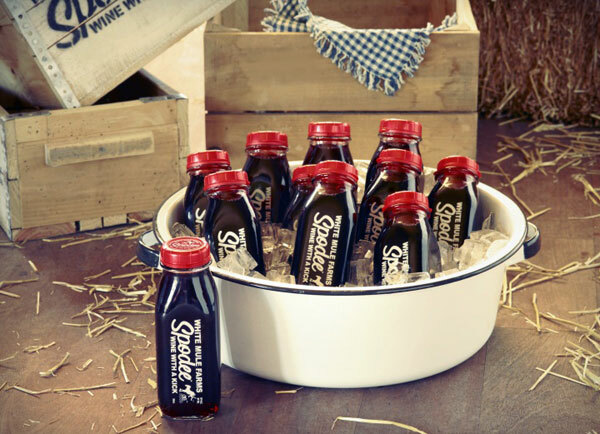 The resulting brew was then put into whatever containers they happened to have lying around…hence, the milk bottle. It may not be fancy pants, but it sure is tasty!” Take a look at all the details on the next page! Their press release tells the story so well! 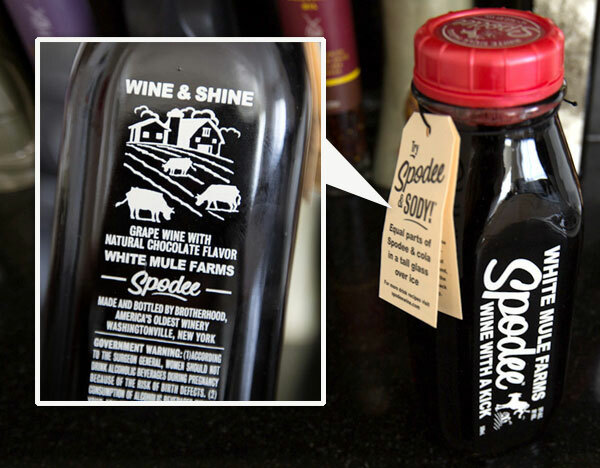 Philadelphia, PA (April 20, 2012)- Spirits guru, Steven Grasse is once again redefining the liquor industry with his latest hooch creation, Spodee. After his great success with Hendrick’s Gin, Sailor Jerry Rum and Art in the Age Craft Spirits, he is once again throwing traditional ideas of what alcoholic refreshment can be out the window. 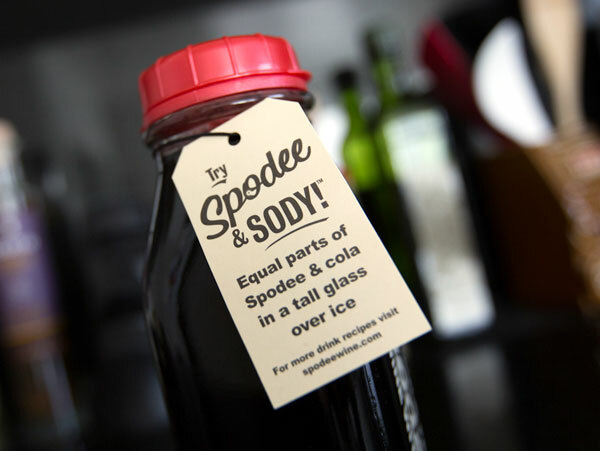 Spodee, launching this month, is Grasse’s first foray into the usually staid wine category. Of course, like all of Grasse’s brands, there is a twist! 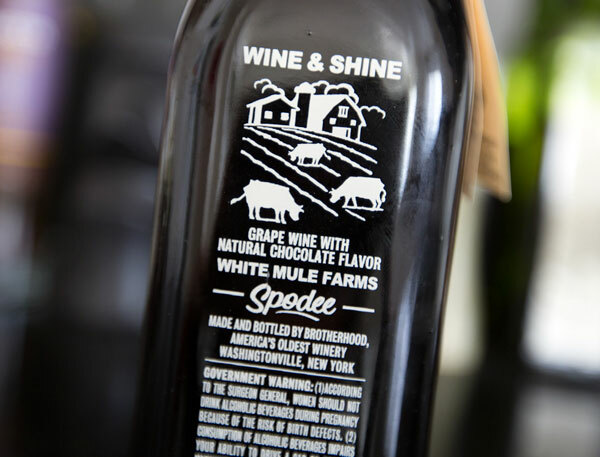 Spodee isn’t your average wine; it is a wine fortified with high proof moonshine, that you mix into cocktails, like a spirit. 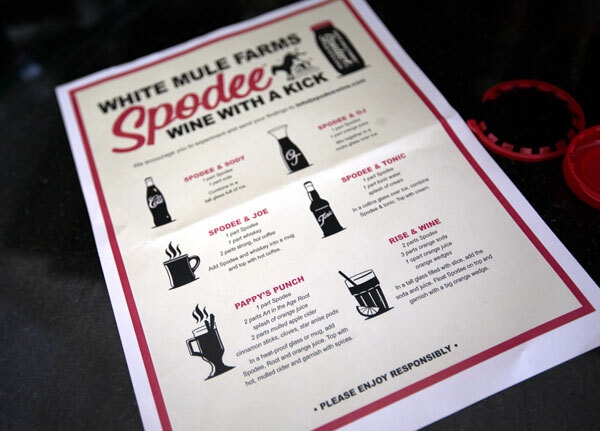 Historically inspired Spodee harkens back to a Depression era hooch that was a deceptively strong, sweet, easy-to drink beverage made from a mix of country wine and whatever else was lying around the farm-fruits, herbs, spices and of course moonshine. Typically, it was made in trashcans or bathtubs and served at parties and backwoods get-togethers. Grasse’s version is a potent 36 proof and comes in an old timey milk bottle. The kind the milk man used to deliver! 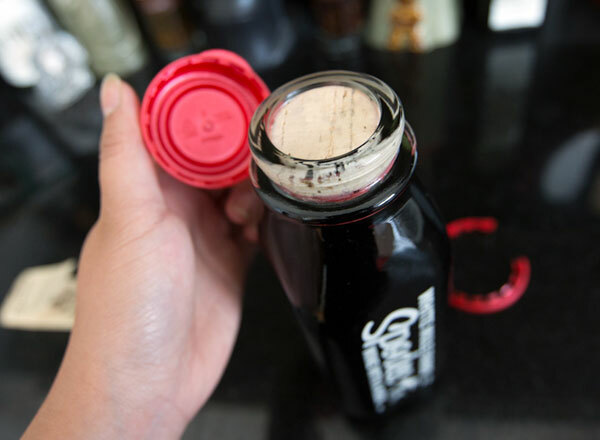 However, the general public has some pretty entrenched views about what wine should be, how it should look and how it should be enjoyed. Is asking people to mix with it like a spirit too tall an order? If anyone can do it, Grasse can. After all, he completely re-invented the stodgy gin category with Hendrick’s, took on Captain Morgan by creating the 92 proof Sailor Jerry Rum and created a hit with Art in the Age Root (arguably the strangest American spirit to be introduced in the past 10 years). “I pioneered high proof spirits when I introduced 92 proof Sailor Jerry Rum. 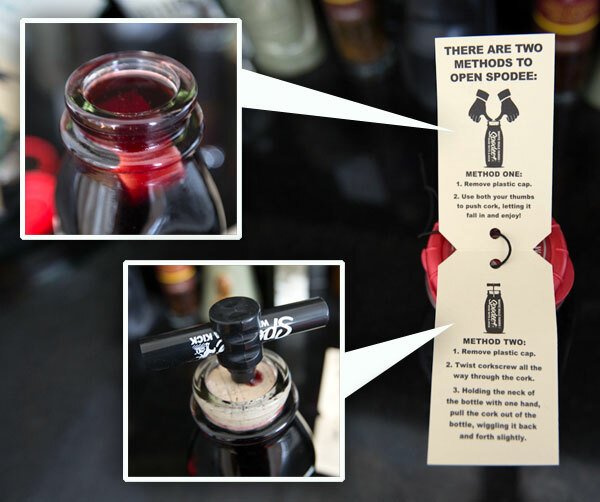 Now I am pioneering high proof wines….or low proof spirits…depending on how you look at it.” says Grasse. 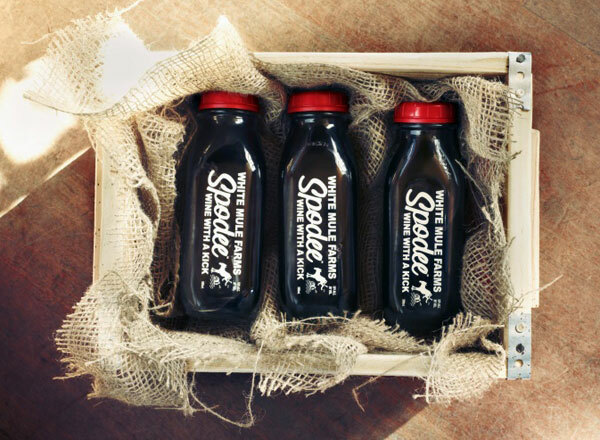 Produced and bottled at America oldest winery, Brotherhood, Spodee will be available in NJ and PA liquor stores, starting in early May for $8.99 per 500 mL bottle.